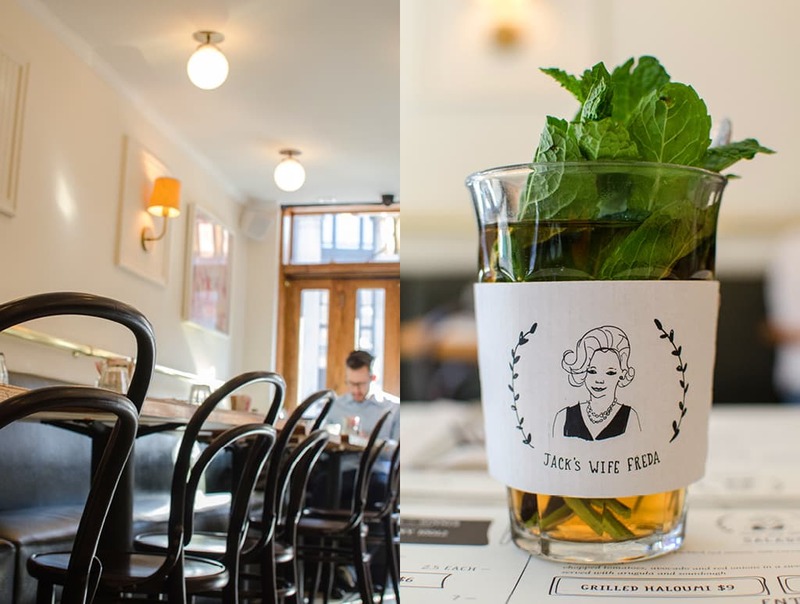 Are you in New York City asking the perennial question, “Where shall we eat?” Well then, you’re going to want to check out Jack’s Wife Freda. For my money, this offers the best casual dining experience in the city. 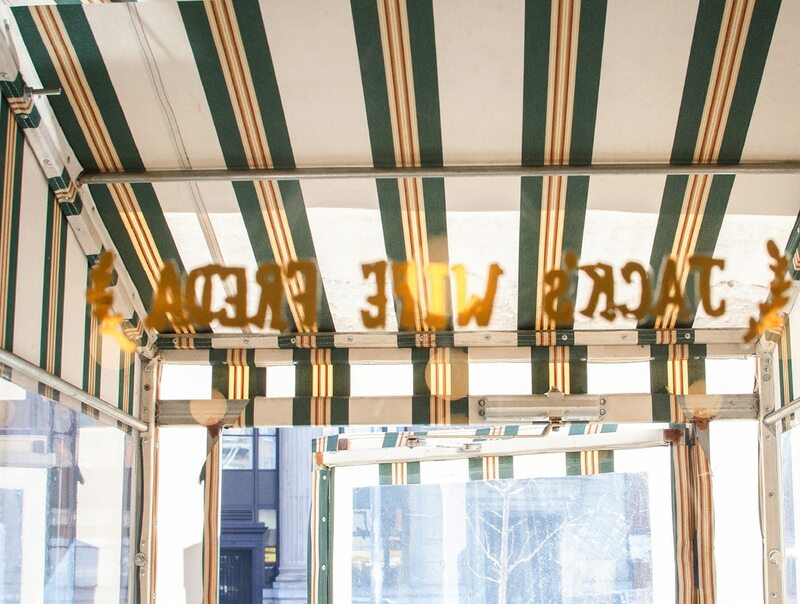 In the often crazy and pretentious New York restaurant scene, this is one bright spot you should get to know. Since opening in 2012, it’s been one of my favorite places to hang out; one of those little gems that was popular from the start. 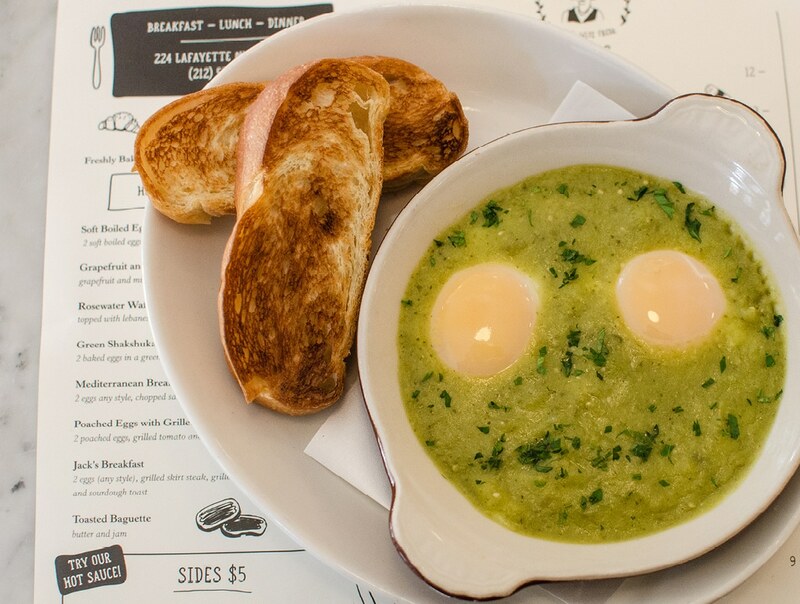 But unlike many new restaurants in New York, this place got it right at the beginning, and now is thriving with a loyal following. 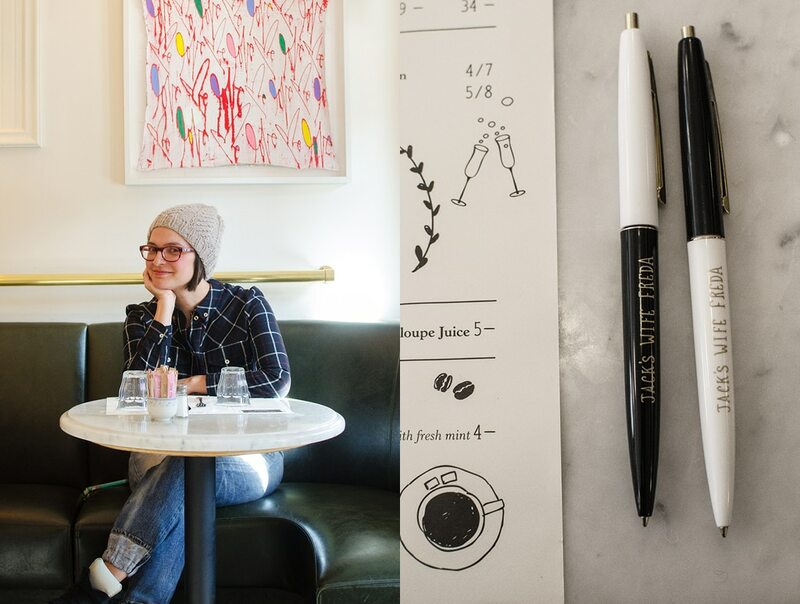 Visiting this time as a journalist rather than as a customer, I had the chance to get some face time with the owners and to delve a bit into what they set out to do with their first solo endeavor. Chatting with them about the restaurant, it finally made sense to me why I love this place and keep coming back time after time. 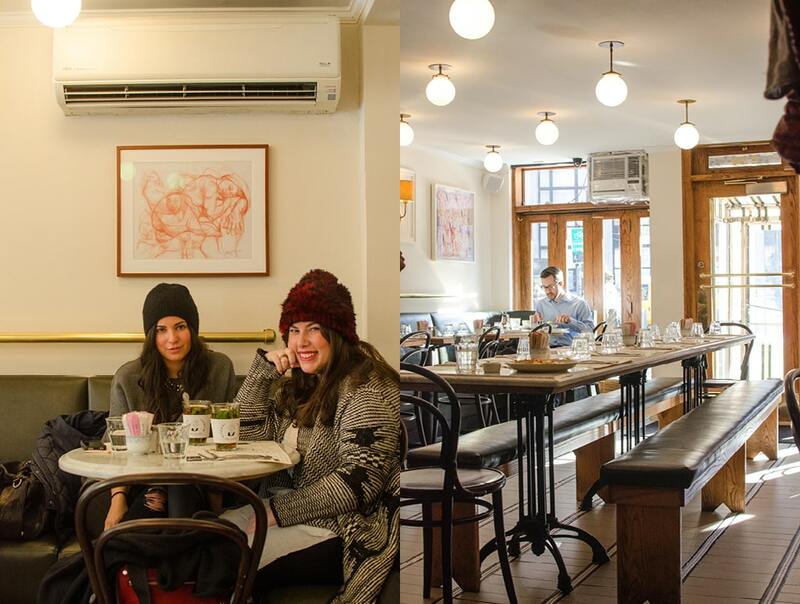 The story began when owners Maya and Dean Jankelowitz moved to New York, Maya from Israel and Dean from South Africa. 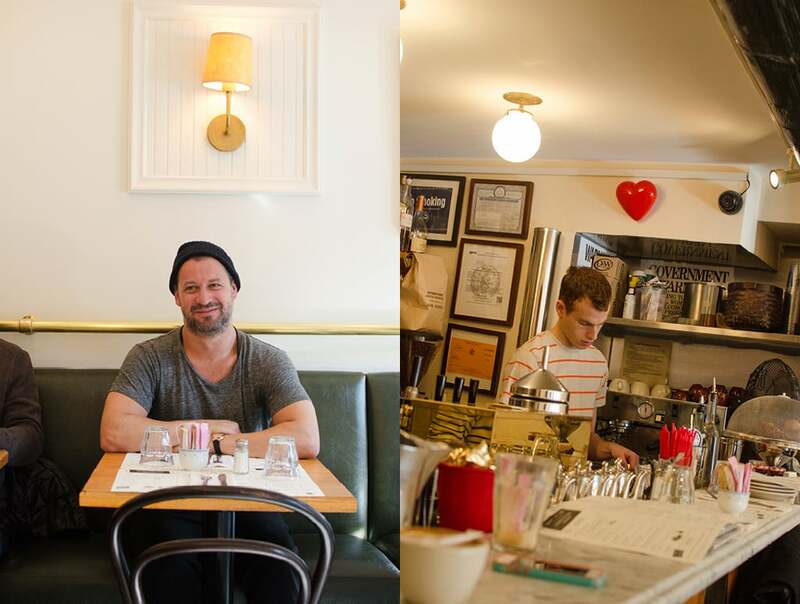 Both started working for famed restaurateur Keith McNally; Maya as Maître de at Balthazar, and Dean at Schillers. 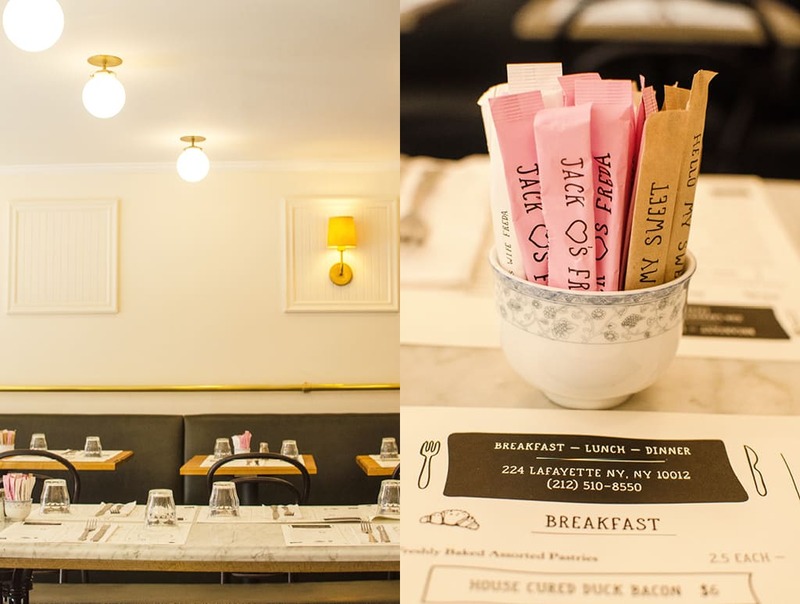 With a few years under their belts in these classic New York eateries, they struck out on their own with the financial backing of actress Piper Perabo—and then Jack’s Wife Freda was born. First, you are probably wondering about the name. Jack and Freda are Dean’s grandparents, and as Dean tells it, they were quiet the hosts. And that home-spun hospitality became the centerpiece of the new restaurant. The food is local, fresh and simple, always with something surprising to try out. On this visit, house-cured duck bacon was on offer. An interesting idea, a first for me, and I really enjoyed it. For dinner, pan-seared duck breast was on the menu, something I have enjoyed in the past. … you will soon start to notice the familiar faces of others who have also made Jack’s Wife Freda part of their morning ritual. But today I am just in time for breakfast. They open at 9:00 am. 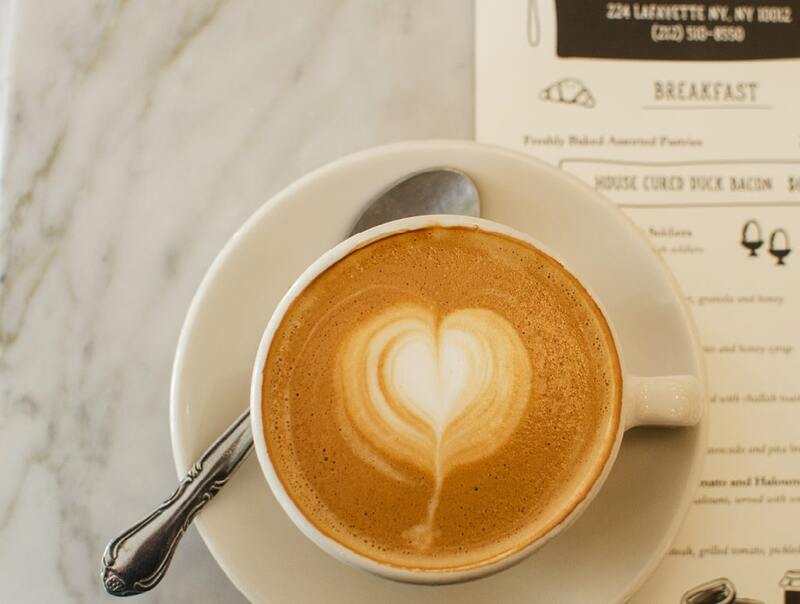 This is convenient if you find yourself just off a flight and in need of a tasty start to your city excursions. I am particularly fond of the green Shahsuka with a refreshing cup of mint tea. 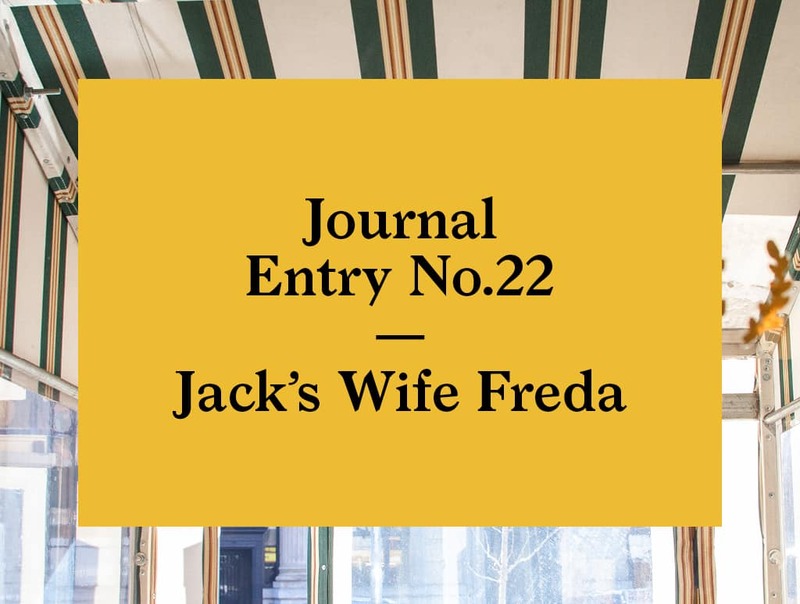 If you are like me and end up making frequent return visits, you will soon start to notice the familiar faces of others who have also made Jack’s Wife Freda part of their morning ritual. A bit later in the day, try one of the house cocktail inventions. Ask a waiter what they recommend, or Maya herself who often comes up with these juicy treats. They change regularly, with the seasons or on a whim, so there is often a liquid surprise in store for you. The room is charming, and although meticulously styled for relaxed dinning, I have to say that the ambience really comes from Maya and Dean. They put everyone at ease with their friendly relaxed manner and pleasant wit. 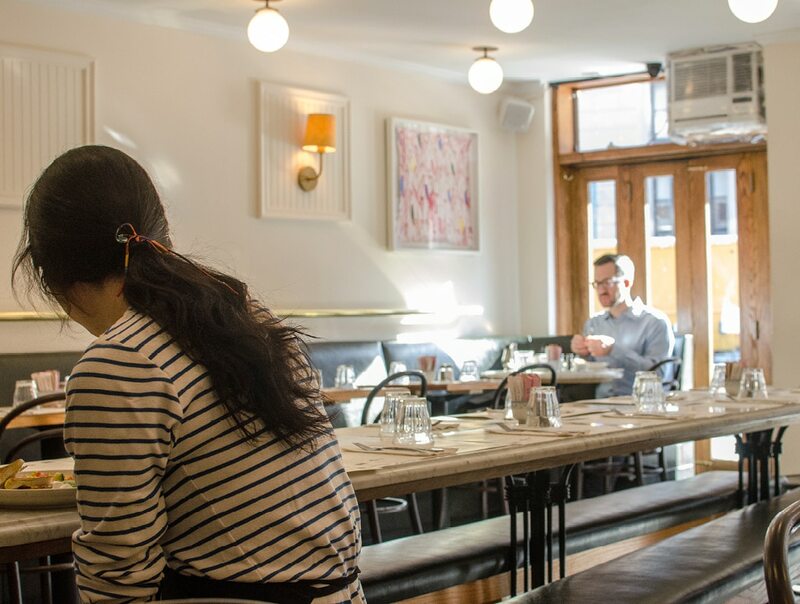 The decor is bistro inspired with a modern touch. Attention to detail does not stop with the food and decor. Everything from sugar packs to hot-drink wraps is carefully crafted to fit perfectly with Maya and Dean’s vision of the kind of place that they want to come to every day. 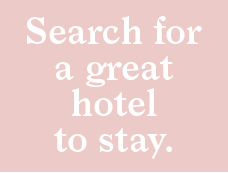 Not planning a trip to New York anytime soon? You can still check out Maya’s adventures on Instagram. In her own words she is “obsessed with Instagram”, and, as you will see, a talented photographer. I’m looking forward to another visit soon. Thank you Maya and Dean. Planning a trip to Down Town New York? Here is the current weather and what to expect for the next few days.